An effective public relations program is important to the success of a home-based or small business. However, these small entrepreneurs often need help in developing the right strategy and policy of their public relations programs. To give pointers on how to develop a public relations campaign for your business, we interviewed Yvonne Buchanan, a public relations expert. Yvonne founded several public relations companies including a comprehensive self-paced public relations training to business owners, students, career changers and freelancers. What is the difference between public relations and publicity? Publicity and advertising? One Hollywood adage goes, “I don’t care what they say about me, as long as they spell my name correctly.” That’s publicity. Publicity is any type of mention in the public eye. It may be neutral, good or bad. For example, a photograph in Variety showing Julia Roberts breaking a nail is an example of (neutral) publicity. Advertising is a paid mention. With advertising, the message, timing and placement are directed by the sender. Examples include print display ads, radio and TV commercials. Public relations is strategic, effective communication to a target audience. To a great extent, public relations shapes but cannot control the message, delivery or timing. For instance, a two-page press release about an upcoming event may receive two lines in a local newspaper after the fact. (And the paper may spell your business name wrong.) Or it may receive no mention at all. 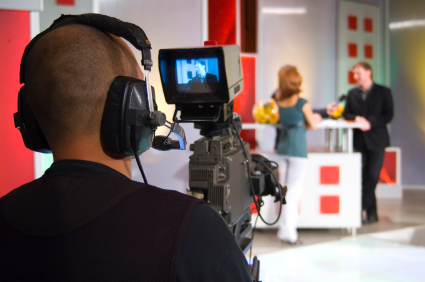 Getting positive media attention can thrust a small business from obscurity to the limelight. But what must a small and home-based business do to attract media attention without spending too much? Public relations is the great leveler. A small business cannot afford the marketing and advertising budgets of big businesses, but all businesses can use the (relatively inexpensive) principles and practices of PR to effectively communicate their messages to their target audience. Sending out press releases through news distribution services like PR News Wire can be expensive. While these services have the widest reach and the most prestigious clients, how can a small home-based business possibly afford to send out press releases? News distribution services are great vehicles for disseminating global or national news. But owners of a small or home-based businesses needs to ask where their is, that is, where does 80 percent of their business come from? If the answer is “local,” it makes more sense to target the local media (and in turn, the local public). A larger audience isn’t necessarily better. It’s better to reach 10 potential customers than 100,000 people who aren’t interested. A local press release is free if it’s sent by e-mail or fax (the preferred method of most reporters). Are there wire services that are within a home business’ budget but offers good coverage as well? PR Web offers a pretty good service, and there are others. Whenever you’re looking at something free or with minimal cost, check to see how that service is making its money. Is it selling your name? Advertising on your press releases? Will you be inundated with spam? Sometimes free is more than you can afford. And be sure you know where your press release will be distributed. If it’s not in your target market, it’s not worth your efforts. Aside from using wire services, are there any other ways a home business owner can reach the media? How does one contact a reporter? That’s like asking, What does a 600-pound gorilla eat for breakfast? Answer: Anything he wants. The reporter is the gorilla in this analogy. Provide real news in a timely fashion using the reporter’s preferred method of contact (if you don’t know, ask) and you’ll have him or her eating out of your hand. How often should a business send out a press release? As often as it has real news to impart to its target audience. No more, no less. Does a home-based business need to hire a PR firm/consultant? What results can they expect from a PR firm/consultant? The answer depends on the PR needs of the business, and the available time of the owner or staff member. Anyone with the proper tools and information can do PR. That’s the premise and promise we’ve based our business on. In fact, because he or she is closest to the business, the small business owner is often the best person to do PR for it. Aside from publicity, what else can a home business owner do to gain visibility? Attend industry trade shows, speak on panels, sponsor industry events, prepare and disseminate useful industry reports, cultivate media relationships by providing useful, timely (non-self-serving) information to media contacts. In short, be where your target audience is and be useful. What factors should you consider in choosing the best public relations tool for your business? Your objectives. Your message. Your audience. Not necessarily in that order. Public relations is an effective weapon in the battle for business. It’s inexpensive, it’s far-reaching, it’s accessible. But it’s important to know what you’re trying to accomplish and make each activity count toward your goal. Focus is key: focus on your audience, on your market and on your plan. Hone your message to a few key, clear, concise points. Then disseminate that message where and how it will best reach your target audience.